The Prix de L’Arc de Triomphe is the one of the most important middle-distance events on the racing calendar and has attracted a very strong field this year. There are top challengers from the UK, Ireland, Germany and Japan as well as a strong home defence. Several of the top trainers have been waiting for confirmation of the ground conditions before making their final declarations but there could be a field of 19 on Sunday. The strong favourite is the Japanese Champion racehorse Orfevre who finished second in this race 12 months ago. He had to overcome a wide draw in stall 18 and burst to the front early in the finishing straight. He was just caught in the closing stages by outsider Solemia and jockey Christophe Soumillon was widely criticised for not holding on to his mount for longer. Orfevre showed his well-being when cantering to an easy success in his prep race and he has been strongly supported ever since. He has won on most surfaces but would probably not want it as deep as last year. He is currently priced as 5-2 favourite with Bet365. The second favourite is the unbeaten French filly Treve. She is now to be ridden by Thierry Jarnet after intended pilot Frankie Dettori suffered a fractured ankle in midweek. She underlined her credentials when overhauling the now-retired Wild Coco to win the Prix Vermeille on trials day but this is the first time she has come up against the colts. The German-trained Novellist stormed to the top of the betting market when he won the King George at Ascot in the summer but was less impressive in his final warm-up race. If he is in the same kind of form as he displayed at Ascot he will be very hard to beat on Sunday. Japan also has a second strong contender in this year’s Derby winner Kizuna who narrowly defeated Epsom Derby winner Ruler Of The World in a tight finish to the Prix Niel. The runner-up was gaining all the way to the line and it could be close between the pair. French Derby winner Intello is yet to race over a mile and a half and has the speed to be competitive at the highest level over a mile. If he stays the extra distance, he could be over priced at 12-1. Al Kazeem was among the favourites earlier in the season having won three consecutive Group 1 races in Europe. His victory in the Coral Eclipse suggests that he may be at his best over a mile and a quarter and he was beaten decisively by The Fugue in Ireland last time. Ruler Of The World’s trainer Aidan O’Brien has supplemented St Leger winner Leading Light for the race. Leger winners have a poor record in the Arc but O’Brien is confident that the colt is still improving and his stamina is guaranteed. Trainer Andre Fabre has won this race seven times and Intello’s challenge is backed up by Ocovango and Penglai Pavilion. 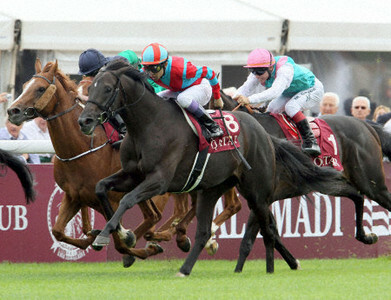 One-time favourite Flintshire could still run if the rain stays away whilst Ocovango wants it really soft. Meandre is a winner at Group 1 level and looks over priced at 50-1 whilst Very Nice Name is also capable of reaching a place on his best form.